This blog post marks the start of a 4-part series that will cover multiple steps on the path to becoming a thought leader. Let’s be honest: we (marketers, communicators, PR practitioners) are all contributors to the next chapter of our industry’s evolving story. We’ve got a constantly shifting media landscape as the backdrop, and amidst all of the excitement and uncertainty, one thing remains consistent: rock-solid writing skills are a critical cornerstone in architecting any successful communications initiative. With this (plus a bit of bias, due to my journalistic roots), I’ve opted to kick-off this series with a focus on getting writing – for thought leadership purposes – right. There’s been a paradigm shift around the concept of “thought leadership” – have you noticed? I sure have. Until recently, the idea of having “thought leadership” readily accepted as a program objective was something I’d often only get to imagine about and hope for prior to a kickoff meeting with a new client. In that hypothetical meeting with a new client, the hurdles of resistance and doubt I was trying to clear – by persuading an experienced marketing director that the effort required to source, write and seek approval on a 1,200-word contributed article was worth a placement that never mentioned their brand – were rooted in very valid uncertainties and completely warranted. Ironically, the bad news sounds a lot like the good news: “since nearly every marketing, communications and PR professional I’ve encountered agrees…[that this is a] critical element of any solid communications campaign,” these thought leadership opportunities have become a bit more challenging to navigate, and – to some degree – more difficult to attach value to. While there are seemingly a TON of editorial opportunities to which our innovative clients can contribute their expertise; the cloudiness around when, where and how we can get the most value out of contributed thought leadership content has increased at the same rate. With the average blog now requiring more than three hours to write, it’s critical that we root thought leadership platforms in tactics that are executable, and those that rank high in terms of impact, visibility and efficacy. Think of your contributed article as an opportunity to have an engaging, compelling and thought-provoking conversation with a target buyer – not dissimilar from the one you might have at a networking event or during a panel discussion. You probably wouldn’t use those opportunities to drop a series of not-so-subtle hints about how great your company’s products/services are; nor would you immediately follow a handshake with a hard sell; so, don’t do it here either. Plus, the article you worked so hard to write and shepherd through the internal approval process will never see the light of day if an editor reviews it and catches on (and, believe me, they will). If the creativity well feels a bit dry, look to recent events, industry trends/research and pain points in your industry as opportunities to elevate thought leadership. By tailoring our experts’ insights to timely topics – such as GDPR, DACA, the U.S. government’s Billion Dollar Climate Report and the Retail Apocalypse – our team has effectively raised the thought leadership profile of clients in every domain we work within. At core, remember that the most compelling thought leadership articles are rooted in authentic and often contrarian points of view supported by data or noteworthy experience, and present a new perspective that adds to the industry conversation. Your exec spokesperson may be a seasoned security expert, or a notable networking guru, but the overdone angle of “top X security/network threats to the enterprise” is – for lack of a different term – completely overdone. Daring to be different will pay off in dividends when it comes to landing a valuable thought leadership opportunity. Take a provocative standpoint by picking a fight with a giant entity – such as AWS – and call out the pain points the masses face due to a gap that has yet to be spotlighted by mainstream media. 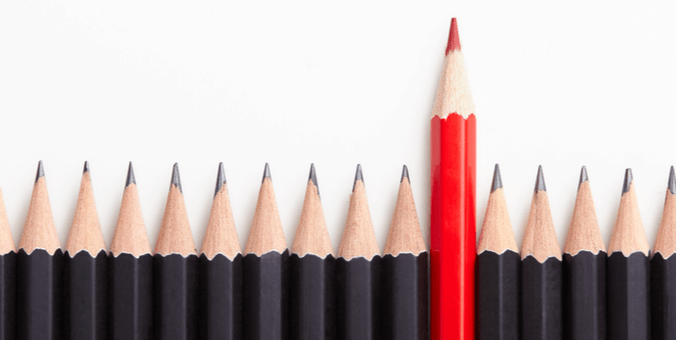 Drafting customer bylines – that effectively tell a unique and differentiated story – is another way to stand out from the crowd, in a good way. Find the next entry in this series here: Crash the Keynote! I used to be quick to dismiss any editorial that had a price tag attached as “illegitimate,” because there was a time when that wasn’t a necessary part of achieving thought leadership in the technology arena. Things have changed, and there are plenty of low cost, high value editorial opportunities available through a number of well-respected media properties. Think of it this way: you’re not paying for the opportunity to publish, you’re paying for the opportunity to communicate to an in-demand audience that’s inundated with messages from companies like yours daily; this is your chance to stand out. In addition to the opportunity to reach a key audience, a recurring contributor opportunity – like the Forbes Technology Council – is a great way to guarantee a steady stream of content over an extended period of time. To continue to augment his/her profile, you’ll want to rely on your tried and true communications tactics: social sharing; bite-sized summaries in newsletters on the website and via internal platforms (i.e. Slack). However, a less traditional tactic that I’ve found to be effective – and a good reason to engage on positive marketing results with the sales team – is a quarterly coverage memo summarizing top wins that they can point to in order to further validate your organizational and executive thought leadership in the industry. A standalone summary may even be justified depending on what content was placed, and where. To maximize the value of the content itself, consider condensing it into a teaser or summary format that can be repurposed as a longform LinkedIn post or a blog post that directs readers to the full text if they’re interested in reading more. Many outlets – such as eWeek – also accept contributed content in the form of a slideshow. If the contributed piece would play well in that format (i.e. a “listicle” concept), re-work the copy to ensure it’s differentiated, and pair it with some strong imagery to further the value of your already-placed piece. Hopefully these tips have been helpful, and feel free to share additional insights you have advice or tactics that have proven especially helpful for you or your team. Looking ahead, we’ll continue to explore opportunities for enhancing thought leadership via other program tactics, such as speaking opportunities and strategic leadership awards, social influence, key positions on boards and committees, as well as policy-driven positioning.